“It's definitely going to be a loss for the pork community – the relationships that are built as well as the information and innovation that’s shared at the trade show,” said Jennifer Shike, Farm Journal's PORK. The National Pork Producers Council announced today the 2019 World Pork Expo was cancelled, saying the decision was made out of “an abundance of caution” to protect the U.S. pork industry. World Pork Expo, held each June at the Iowa State Fairgrounds in Des Moines, hosts approximately 20,000 visitors over three days, including individuals and exhibitors from ASF-positive regions. In 2018, there were more than 1,000 international guests and attendees represented nearly 40 countries. “This is a huge decision and one that they didn't come about lightly. I know that many industry experts and leaders have been thinking about this for a very long time,” said Jennifer Shike in an AgDay interview with Clinton Griffiths. Trade and export status is also a part of that decision, Shike said. 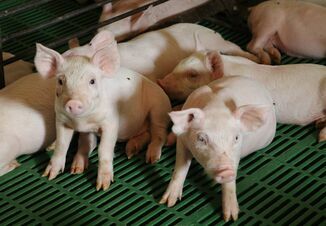 “If African swine fever were to break out in the U.S., we will lose our export status immediately. I think [the industry] is being extra cautious to make sure that we keep that high biosecurity in the U.S. so we can remain a very viable source for that market,” she said. “World Pork Expo is a major event—it's an opportunity for our producers and business leaders to come together. And it's a premier educational opportunity for kids as well,” Shike said. The news that this is being cancelled this year is really tough for a lot of people simply because it's such a beloved event, she added. 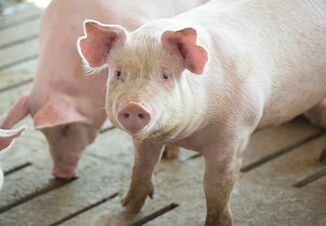 “It's definitely going to be a loss for the pork community – the relationships that are built as well as the information and innovation that’s shared at the trade show,” she said. Click the video above to hear about the last time World Pork Expo was cancelled, due to an outbreak of foot and mouth in India. NPPC Cancels 2019 World Pork Expo "Out of An Abundance of Caution"